During the Plenary Session at the Palm Springs, California, event, Esri’s developers unveiled and demonstrated new technology and tools to more than 2,500 attendees. This article summarizes the 11 top takeaways from this year’s summit. Esri smart mapping reenvisions mapmaking through the use of data-driven workflows, intelligent defaults, coordinated styling, automated scale ranges, and improved color ramps. You can now extend ArcGIS Pro with the ArcGIS Pro SDK for Microsoft .NET. ArcGIS Pro is a 64-bit application that comes with ArcGIS 10.3 for Desktop and can be installed and run on the same machine. It has tools to visualize, analyze, compile, and share your data in both 2D and 3D environments and works with ArcGIS for Desktop. This SDK is based on the add-in extensibility pattern that does not require elevated user permissions or COM-style category registration. With the SDK, you can leverage modern .NET features and patterns such as Task-based Asynchronous Pattern (TAP), Language-Integrated Query (LINQ), Windows Presentation Foundation (WPF) data binding, and Model-View ViewModel (MVVM) to write integrated 2D/3D add-ins using editing, mapping, geoprocessing, layout, geodatabase, and geometry APIs for ArcGIS Pro. ArcGIS Pro SDK for Microsoft .NET resources, including concepts, guides, tutorials, samples, and snippets, will be available on GitHub when ArcGIS Pro 1.1 is released. Esri is continually adding 3D to the platform. The Plenary Session included demonstrations of ArcGIS Online Web Scene Viewer and ArcGIS Pro 1.0 as well as the 3D analytical capabilities available on the desktop and the use of 3D on mobile devices. You can use ArcGIS Runtime SDKs to add full GIS capabilities to your native apps on any platform using your development language of choice. In 2015, new and improved APIs are being added to ArcGIS Runtime that let you work with the ArcGIS platform’s geoinformation model—specifically portals, maps, and layers. The next major release of ArcGIS Runtime is a project named Quartz. It will be available in beta this summer and is expected to be released by the end of the year. Quartz will let you author and edit maps in apps and share these with your organization. You will also be able to more easily authenticate with portals and easily retrieve content. ArcGIS Runtime also provides several options for cross-platform development using Xamarin, Java, and Qt/QML so you can get your apps to market faster. The announcement at DevSummit that Esri would be supporting the creation and display of maps using the vector tile format elicited cheers from the audience. Vector tile mapping offers fast, high-quality content display and reduced cache sizes. Vector graphics provide excellent quality display on high-resolution devices. Because drawing is done on the client side, vector tile maps can be restyled to suit different mapping applications. Mobile map packages are an easy way to gather maps, layers, and associated data together for use in applications developed with ArcGIS Runtime SDK. Created in ArcGIS Pro, mobile map packages store compressed data for operational layers, basemap layers, network datasets, and locators. Packages can be shared on ArcGIS Online or side loaded onto devices. Once loaded, packages can be used offline to identify, query, perform analysis, route, and geocode. 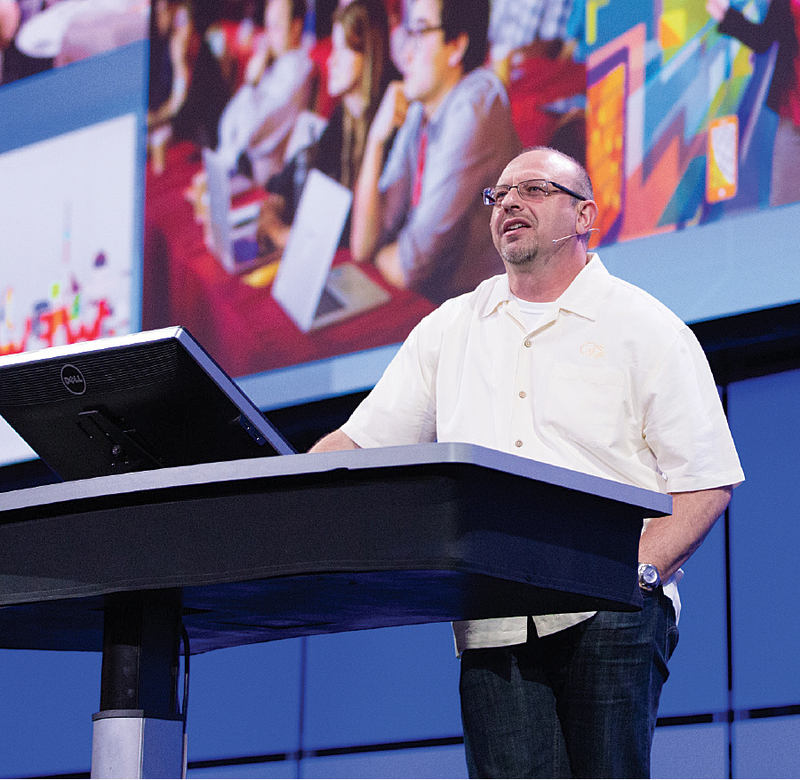 The 2015 DevSummit has something for every GIS developer, whether web, native app, desktop, or enterprise. Esri’s smart mapping helps you tell better stories with your data. It reenvisions mapmaking through the use of data-driven workflows, intelligent defaults, coordinated styling, automated scale ranges, and improved color ramps. 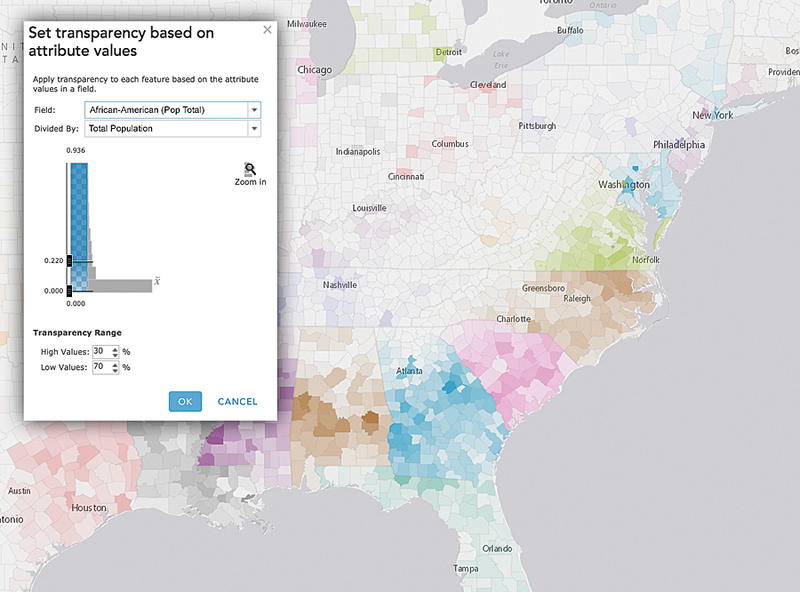 Esri has added new kinds of maps to ArcGIS Online, such as heat maps, and improved symbology with continuous color ramps, proportional symbols, improved categorical mapping, and new ways to use transparency effects to show additional details about your data. Smart mapping, delivered via a streamlined and updated user interface, helps experts and novices alike to work faster, with more confidence and less effort. Build fully functional, cross-platform native apps with AppStudio for ArcGIS. Currently in beta, AppStudio lets you convert your maps into beautiful, consumer-friendly mobile apps that are ready for Mac, iOS, Android, Windows, and Linux, and publish them to Google Play and the Apple App Store using your own brand. No developer skills are required. Get involved with this new technology by entering the AppStudio for ArcGIS App Challenge! Download, build, and win. Esri continues its commitment to Python and the scientific community with the addition of Python libraries including NetCDF4 for using multidimensional data, SciPy to perform scientific computation, and Pandas for easier data analysis. Esri plans to make it easier for Python users to find and use compatible Python libraries from within ArcGIS using Conda, an industry-standard build and distribution framework. This will ensure that Esri libraries and standard scientific libraries will always be compatible. ArcPy in ArcGIS Pro is a Python site package that provides a useful and productive way to perform geographic data analysis, data conversion, data management, and map automation with Python. ArcPy provides access to geoprocessing tools as well as additional functions, classes, and modules that allow you to create simple or complex workflows quickly and easily. 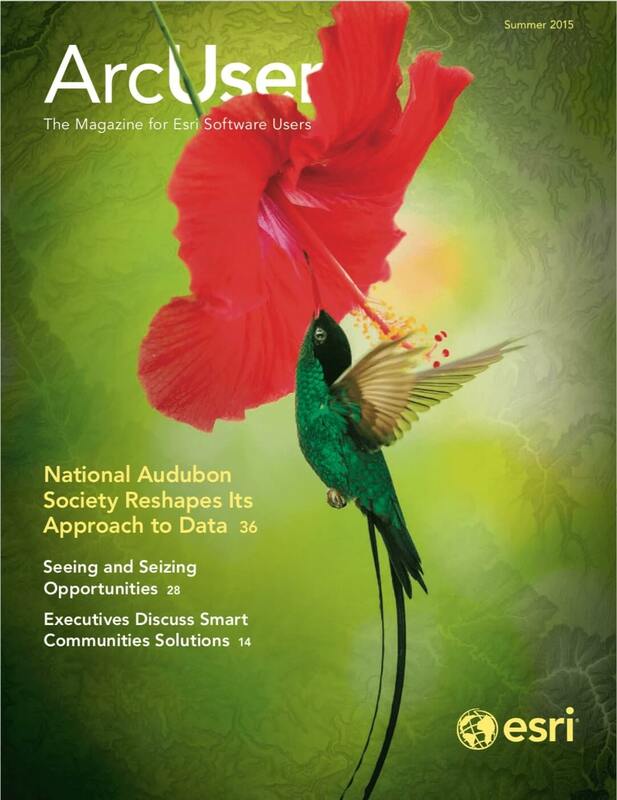 ArcGIS applications and scripts written using ArcPy can access and work with numerous Python modules developed by GIS professionals and programmers from different disciplines. When ArcMap 10.3.1 and ArcGIS Pro 1.1 are released, you will be able to run your native R scripts directly as script tools and allow R to access ArcGIS data. Using the geoprocessing framework, your R script will work directly with Esri-supported feature data, honoring its selection and projection. With R and its thousands of contributed libraries added to an already awesome platform for scientific computing and visualization, ArcGIS continues to deliver on its promise to become the platform for the scientific community.